What they do: Big Reuse is a non-profit retail outlet in NYC for salvaged and surplus building materials. 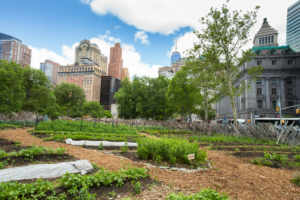 They help host the NYC Compost Project, provide discounted materials and merchandise to non-profits and donate materials once per month to a non-profit organization. They support community and school gardens by providing garden materials. How they do it: Substituting salvage for demolition allows us to generate green, living wage jobs and job training. 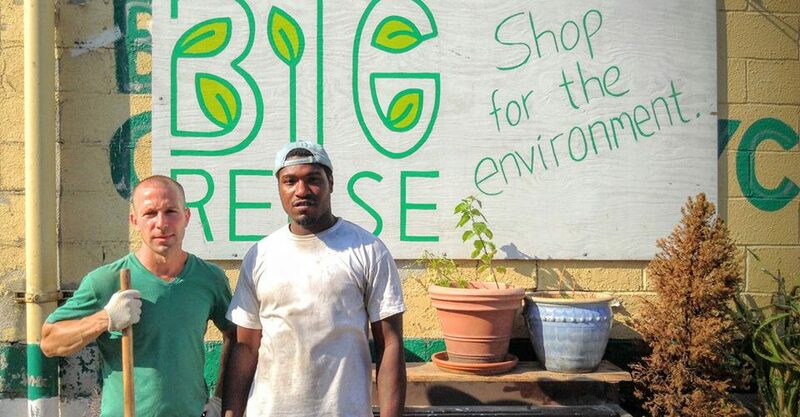 Big Reuse provides 26 hard-working individuals with a friendly and intellectually stimulating work environment, a living wage, and health benefits. We provide a training work site for over 30 trainees each year for 3 months to a year depending on the program. Net revenue from our Reuse Centers support local, environmental initiatives. Giving old items a second look helps to reduce our city’s dependence on raw material consumption. At each step, our emphasis is on contributing responsibly to our community. Big Reuse works to keep these materials out of the landfill, while offering deep discounts on their resale. We accept drop-off donations seven days a week, offer free pick up services for large donations and provide deconstruction services for skim salvage of interiors. We are working towards reducing the amount of unnecessary construction and demolition (C&D) waste clogging our landfills, which contributes to pollution, GHG emissions, climate change and global warming. Mission: To divert materials from landfills, minimize carbon emissions, and provide our community with quality, low cost building materials and home furnishings. Interesting fact about how they are working to positively affect the food system: Big Reuse processed 765,477 pounds of food scraps and accepted 237,554 pounds of wood chips and leaf matter in 2015. That’s over 1 million pounds of organic material diverted from landfills.